The BattleSpace game in the Battletech/Mechwarrior universe is here. "BattleSpace is a game of furious space combat. Each player commands an unique ship with different engine, armour, and weapon configurations. They equip their ship with powerful upgrades then battle it out with up to four opponents in a fast paced battle. The game is played in rounds. 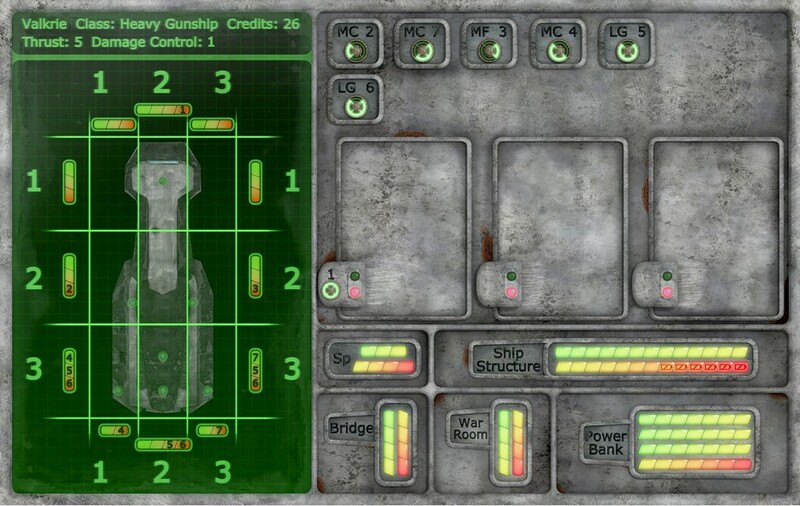 Each round is made up of four phases: the movement phase, when all players simultaneously move, the weapon phase, when all players fire their weapons, the power phase, when all players manage their ship's energy, and the repair phase, when all players are able to repair a limited amount of damage on their ship. BattleSpace can be played as a standard "deathmatch" where the last player with a ship wins or as any number of custom game-modes." Components consist of a rules book 4 ship mats, play boards, dice, pawns and tokens. 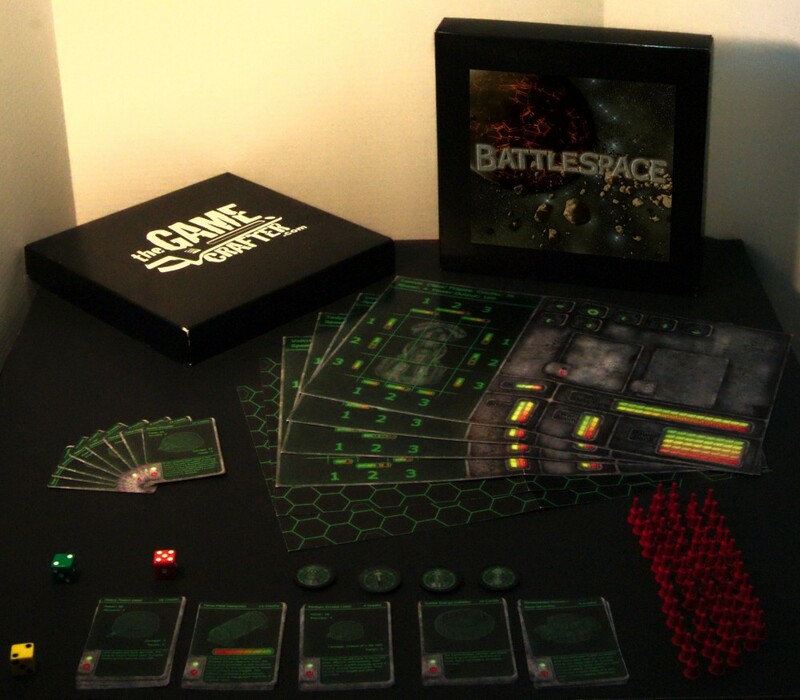 BattleSpace is a print on demand game you can purchase through The Game Crafter. 8/26/2012 - The BattleSpace game is available through The Game Crafter.